Put away round baskets and mesh bags, satin drawstring pouches are the season's must-have accessory. Cute and playful, these bags aren't really practical but the retro shape surely makes them so irresistible and chic, the perfect day-to-night piece that makes a statement with pretty details and luxe embellishments likes sequins, beads or tassels. Che carina questa quiiiii,ne voglio una anche io , lacopia di questa! That is a gorgeous bag! The color and silhouette are so chic and it's perfect for day to evening. Happy new week Lilli! This clutch is so cute Lili. It's a vintage kind of clutch and I love pairing it with my ethnic wears. Can't wait to see you with it. 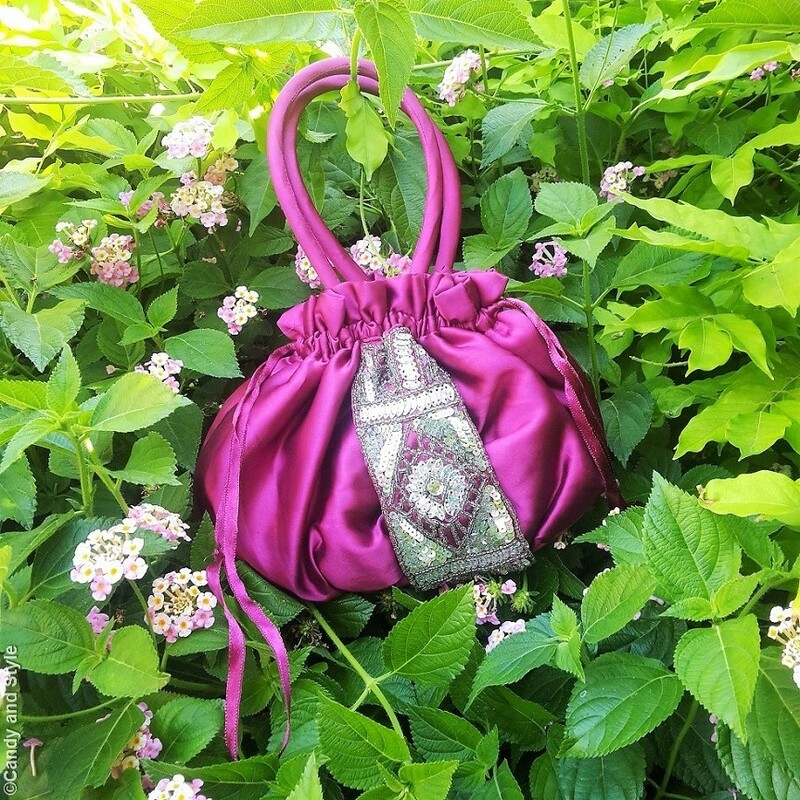 The satin drawstring bag is perfect for summer evenings. The bag looks so precious; the perfect colour for you! Have a nice weekend.